he new A320s feature 2.4 metre high curved wing tip devices known as sharklets. AIRNew Zealand passengers stranded for days in Hawaii are "gobsmacked" at revelations crew were out drinking, making them unfit for duty if the plane had been made airworthy. Several crew who were in Hawaii this week to fly stranded passengers home are believed to have been warned that they were unfit to fly, after drinking. The Weekend Herald understands that the airline would have been unable to assemble a full crew, even if the plane had been operational. This has sparked an internal investigation. The crew's breach of the 12-hour "bottle to throttle" no-drinking rule has prompted a stern warning from Air New Zealand managers, who say a "small group" is not living up to the airline's standards. "You are responsible for ensuring you are rested, fit and healthy and available to deliver the great service our customers expect and deserve," airline bosses told them in a letter yesterday. The airline would not comment on anonymous claims that members of two crews who ended up in Honolulu were out drinking to as late as 5am and were "trashed". A faulty warning light which forced the Boeing 767's pilots to abort a takeoff on Sunday night (NZT) led to an ordeal of up to 56 hours for the 227 passengers. Passenger Phil Wardale said he was "absolutely disgusted and further angered" at the latest revelations. He said communication from Air New Zealand was lacking and he was "sick in the knowledge" that crew might have been out drinking while passengers, including parents with children, waited for news about their flights. Another passenger, Paul Cavanagh, who finally got home from Hawaii yesterday morning, said he hadn't seen any evidence during the ordeal of crew drinking. "If it's true, it's disappointing." He and his family hadn't had an issue with the flight being delayed: "It was just the communication and repetitively being dragged out to the airport for no apparent reason." 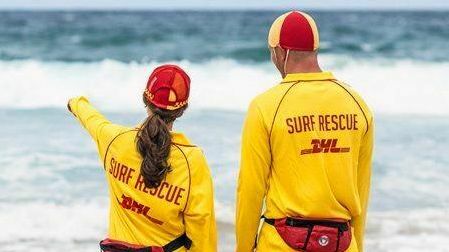 If staff were out "partying up" while stranded passengers were "on call" waiting for information, he wouldn't be happy. The standard staffing of a Boeing 767 is three pilots and seven cabin crew. Two crews were in Honolulu during the stranding. In a media release yesterday, the airline said the delays with Flight NZ9 from Honolulu to Auckland were "entirely related" to ongoing engineering issues and challenges securing a necessary part. "As previously stated, we have launched a comprehensive internal review of all aspects surrounding the delays and our management of the situation, both from the customer and operational perspectives. This review includes the performance of all functions involved with the disruption, including pilots and cabin crew." A preliminary outcome of the review was expected by the end of next week. Stranded passengers were left waiting for taxis following the Sunday night incident, struggled to find hotels and faced several false starts after returning to the airport. Customers complained of poor customer service and communication from the airline, and a lack of sympathy from staff on the ground. They were offered $1000 in compensation. The letter from cabin crew general manager Leeanne Langridge and pilots general manager Darin Stringer says crew must remain contactable, stay rested and ensure they are prepared for duty when the need arises. "I'm sure many of you share our embarrassment at the way the actions of some of our peers have impacted on the reputation of our professions both with our customers and within Air New Zealand." The letter follows an internal memo to staff from chief executive Christopher Luxon in which he said the airline had failed more than 200 customers. "As chief executive officer, I am ultimately accountable for this." 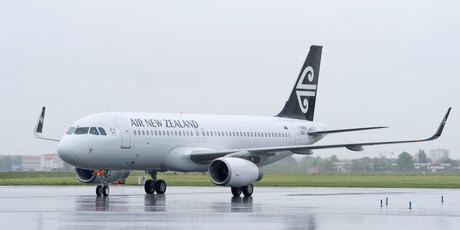 In the memo, Mr Luxon said events like the management of NZ9 had a big impact on Air New Zealand's reputation and the trust customers placed in the airline. He said the company had been let down by some of its 11,000 staff and some suppliers. In the past few months, Air New Zealand has dealt with a number of embarrassing incidents that made headlines, including a standoff between pilots over cockpit entry, a Transport Accident Investigation Commission report into a potentially dangerous landing at Christchurch, a former cabin crew member being accused of importing drugs sewn into his uniform, and the bussing of passengers from Christchurch to Nelson during a storm at Easter after flight cancellations.